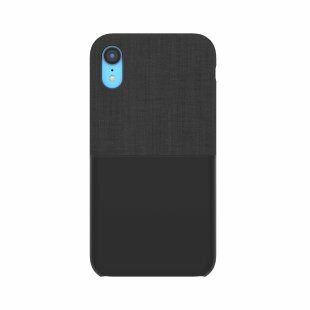 The Textured Snap Case for iPhone XR fuses style with protection in a mixed media design: a durable, rigid lower panel and an upper panel covered in Woolenex™—a lasting blend of abrasion-resistant fabric that repels the elements. This protective case has a soft interior for excellent shock absorption, covered buttons and full access to ports and controls. And an ultra-soft micro-suede lining protects your iPhone XR from scratching your device while in the case.